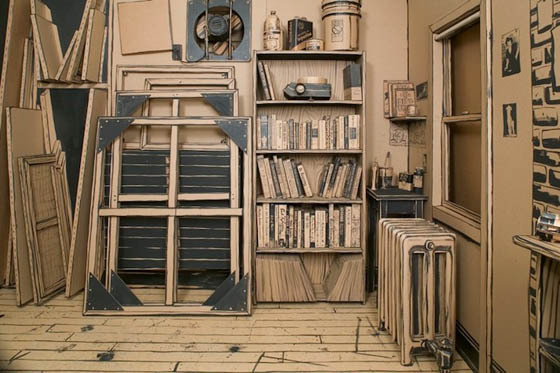 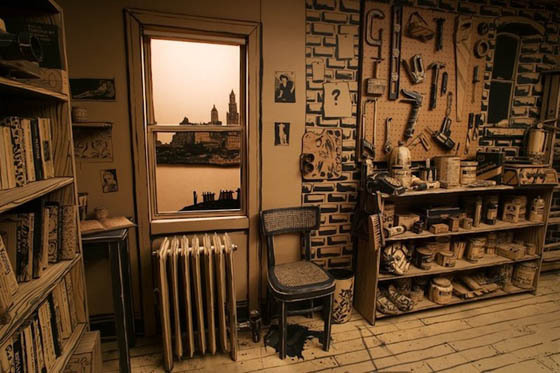 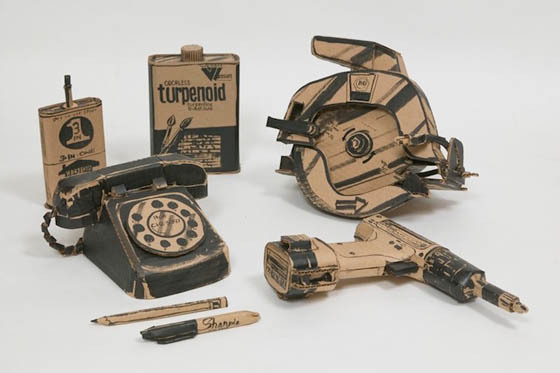 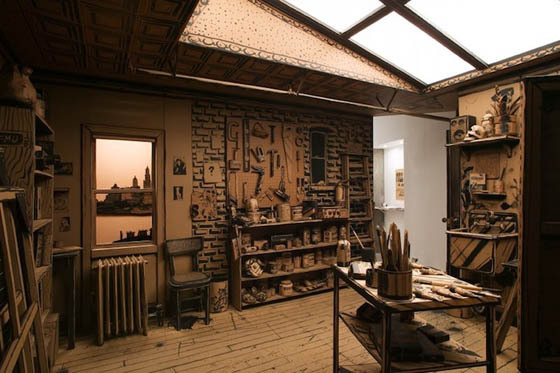 Different from the practical cardboard office we featured years ago, FULL STOP is a childhood fantasy, a full scale installation for Tom Burckhardt who constructed a realistic clubhouse entirely out of cardboard, black paint, wood, and hot glue. 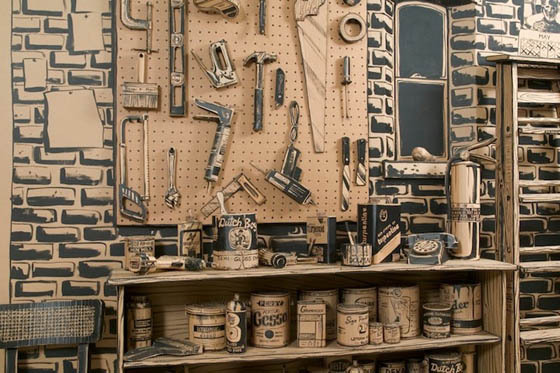 More than just creating an amusing environment, Burckhardt tells a very human story with his piece. 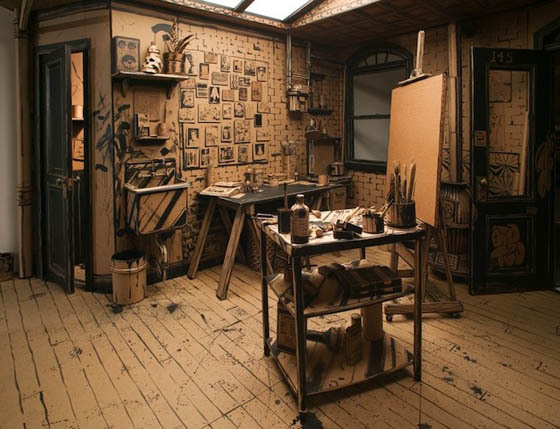 He wants viewers to pick up on information about the imaginary – a struggling artist who “inhabits” the studio. 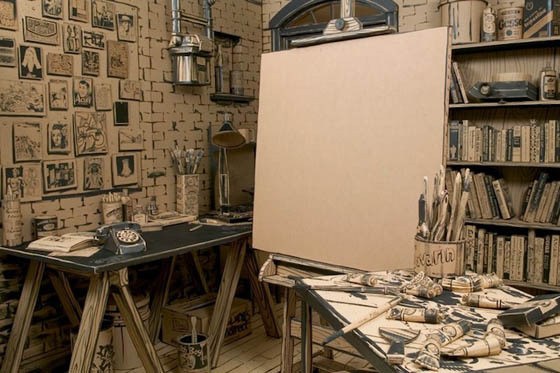 The fictional artist is facing a mental block, and his blank canvas sits on an easel, taking center stage in a dose of irony.